On Fridays we're going to feature amazing discoveries and facts, because, yes, the world is full of wonders that are real and natural-occurring (without divine or supernatural intervention). 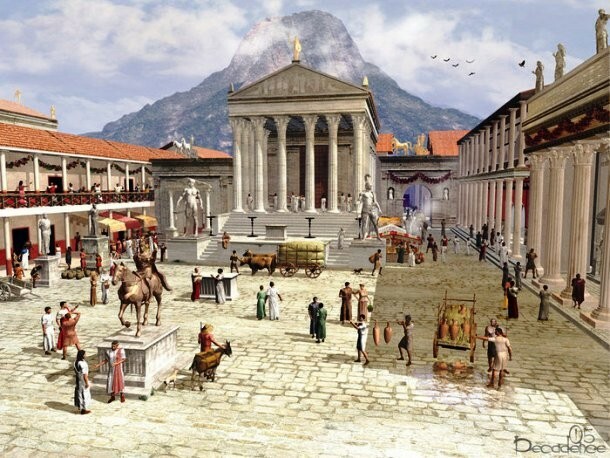 This week we are introducing the cities of Pompeii and Herculaneum, both buried "alive" by Mount Vesuvius's eruption. Mt. Vesuvius erupted in late 79 A.D. The eruption most likely lasted for 24 hours, but the pumice and volcanic ash continued to pour for two more days, burying the towns and its people under its path. The eruption was sudden and fast (people didn’t even know Vesuvius was a volcano), not giving much of a chance for many survivors. An estimated 25,000 people died. But there were a few survivors, such as Pliny the Younger, whose account (he wrote what he saw and his interviews with other survivors) is where we find much of what we know about what happened those days. Pompeii wasn’t destroyed. It was buried and because of the lack air and humidity it was preserved -its art, texts, artifacts, buildings, even bodies. Pompeii served as testimony of how Romans lived, their culture, their everyday life, which is really important because Rome was the most important nation at the time, but Pompeii provided another reference, not only from the city of Rome. You may be familiar with Pompeii, since it's more popular and well known, but an adjacent city, Herculaneum, was also buried by Vesuvius (as were other smaller villages in the area) and later rediscovered and it has been better preserved. Since Pompeii was discovered first, was a larger city, and very popular it has suffered from being mismanaged by excavators, the government, and the visitors. 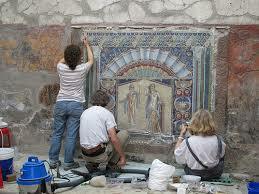 But Herculaneum has been very well taken care of by archaeologists and conservators. Today, some of the art pieces and texts extracted from Pompeii and Herculaneum are in museums, but most of it is still in the cities, preserved for the millions of visitors who go there every year. 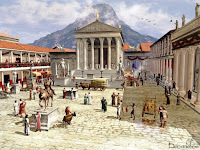 - 25 Mind-blowing facts about the Pompeii destruction: List25. - Herculaneum (Ercolano): A Buried Treasure: Life in Italy. - Houses and Society in Pompeii and Herculaneum by A Wallace-Hadrill (Princeton University Press, 1994): at your local Library or Amazon.com.